Is there information on the new hybrid model (Gillette Tech / Merkur) ?? 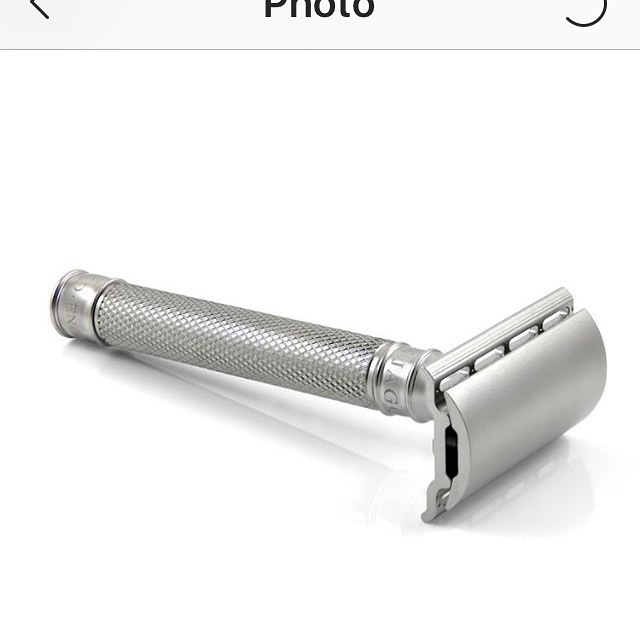 (03-26-2019, 11:36 AM)ischiapp Wrote: Is there information on the new hybrid model (Gillette Tech / Merkur) ?? Nothing on their site....might just be a self made hybrid someone posted. That's one of a series of teaser pictures posted on the Edwin Jagger Twitter account. The only info one can glean is that it comes with a choice of handles, has a safety bar rather than open comb and it appears to be MIM (like a Feather AS-D2) rather than machined. I think they might have stated it was stainless but I could be wrong about that. (03-26-2019, 10:14 PM)P.B Wrote: I think they might have stated it was stainless but I could be wrong about that. I totally agree, specially with this above. Bright color reminds me anodized aluminum, which I love. BTW, that mild curvy geometry of the head I find very pleasant. II truly hope It'll NOT be another stainless steel hammer. I find alum alloys (specially 7075!!) so more efficient. They have been planning a stainless razor for some time so this must be it. The sales reps were not allowed to discuss it, apart from saying it's in the works. (03-27-2019, 04:31 AM)Suffolksupplies Wrote: ... it's in the works. I am also hoping for a hollow handle version like their standard razors, a solid handle would be to heavy for me. Might be time to try an EJ! Different color handles all stainless steel. Someone on another forum confirmed with EJ that they are stainless steel. (03-30-2019, 03:27 AM)slantman Wrote: Different color handles all stainless steel. Full colored are anodized aluminum. I think the new 3ONE6 is a good answer to the Muhle Rocca. Muhle also has the more economical series (Hexagon) in aluminum. I hope the prices will be in line. That head design appear to once again leave a lot of the blade unsupported, which leads to blade chatter and rougher shaves. Timeless and Wolfman got it right. This, in my opinion, is beautiful but to me has a fairly major design flaw.